Just Contemporary Romance: WHY do I do this to myself? Yeah, I know. Stop looking at the calendar. Stop being concerned about Amazon contract negotiations. Stop being nervous every time Google Alerts tells me my name was mentioned SOMEWHERE online. I can’t because I’m a romance author, and I want to share my joy of the happily ever afters. I want to create a world where love triumphs over impossible odds, where soul mates exist and no conflict or adversity that can keep them apart. And I want readers to have fun while experiencing it. I’m watching the calendar for July 1. That’s when Who Wants to Marry a Doctor? will be released, and I’ll know if I succeeded. So why, again, am I doing this to myself? And it’s not because of the hot guys that grace the covers of our books. Oh, come on. I’m not alone in this. Haven’t you ever wondered what drives an author to write romance? Something that we read not because we have to, but because we GET to? I asked. And here’s what they had to say. Love and happiness. That pretty much sums it up for me. So now you know our secrets. Let me in on yours. Why do you READ romance? Who Wants to Marry a Doctor is coming July 1, and what a better way to celebrate than to give something away? Visit www.facebook.com/AbigailSharpeBooks and click the Giveaway tab to play along. AW, thanks, Selena. And thanks for helping me with the post. Maureen, you are a blessing as always. Sorry for giving you the post so late! Sorry to hear you've been sick, Maureen. Get all better quick ! You need your toes! they help maintain balance! Awesome post, Miss Sharpe !! This was such a fun post, Abby! Living (written?) proof that romance is not just about the hot guys and beauteous women. We LOVE what we do. Thanks for including me! Thanks, Melissa! And thanks for stopping by. 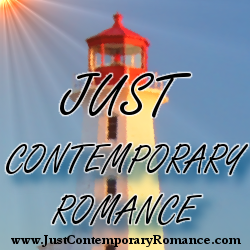 I read romance for the HEA...and I love to see the journey the couple takes to get there.